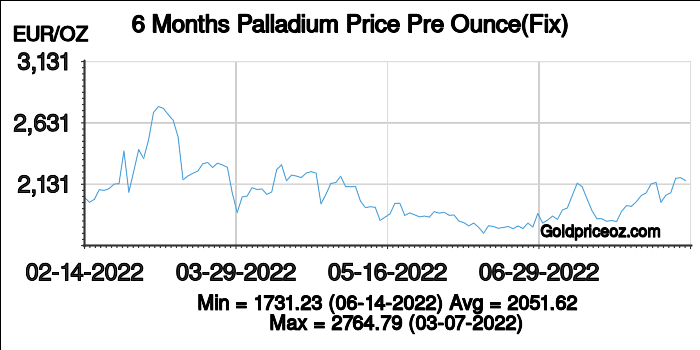 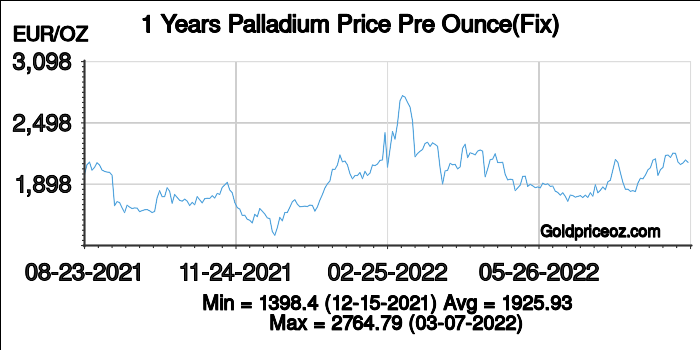 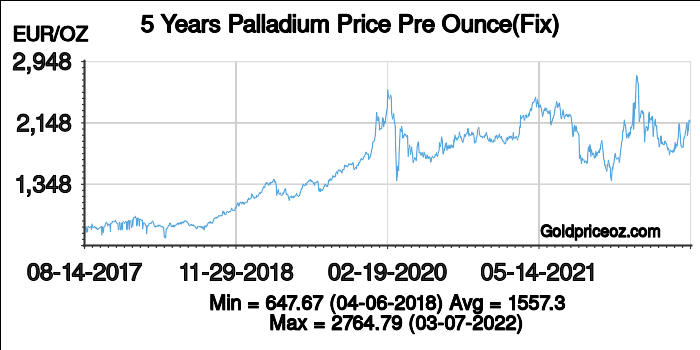 Palladium price in Europe in Euro(EUR) per ounce is a free service provided by Palladium Price OZ website, where shows current palladium price(including bid price and ask price) and palladium price history chart(London palladium fixing price). 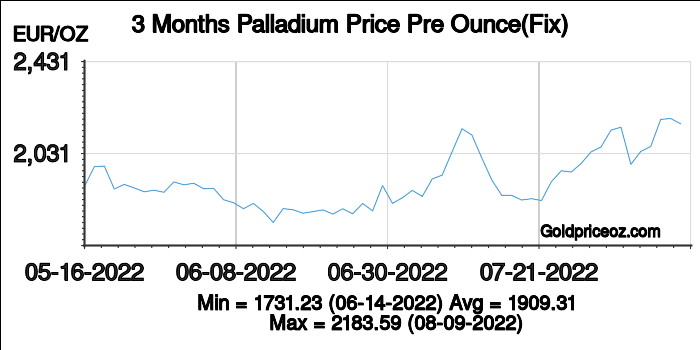 Palladium price in Europe per ounce today is being updated once every 1 minutes. 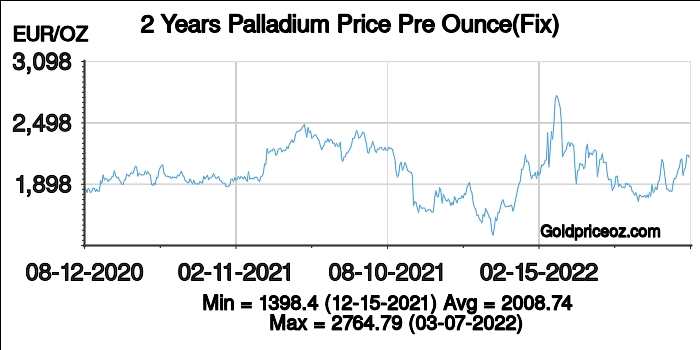 NYSE Liffe US, NYSE Euronext's U.S. futures exchange, makes available for trading full- and mini-sized gold and palladium futures, options on full-sized gold and palladium futures and futures on Morgan Stanley Capital International (MSCI) Indices.